Hello and happy Monday! I hope you had a wonderful week-end and were able to get a bit of crafting time in. As I have mentioned in a previous post, Stampin' Up! and Becky Higgin's: Project Life have teamed up! How exciting is that!?! Well... for the traditional scrapbookers... right? Don't worry my digital scrapbooking friends! Stampin' Up! didn't forget about you! Project Life is also available in DIGITAL FORMAT!!! WAHOO! So..Today I'm sharing a Digital Project Life page! For my page today, I decided to keep to the Project Life format. In other words... I didn't crop or enlarge the page inserts and I followed a PL layout. This allows me the option of re-creating my page in actual product, or printing out my digital page and inserting it into an actual pocket page. How awesome is that!?! My page is PL layout #1. How do I know? Well the pocket pages are actually labelled. I thought that was a nice touch on SU & PL's part. Next time you're creating, check out the bottom-left hand corner of your pocket pages! 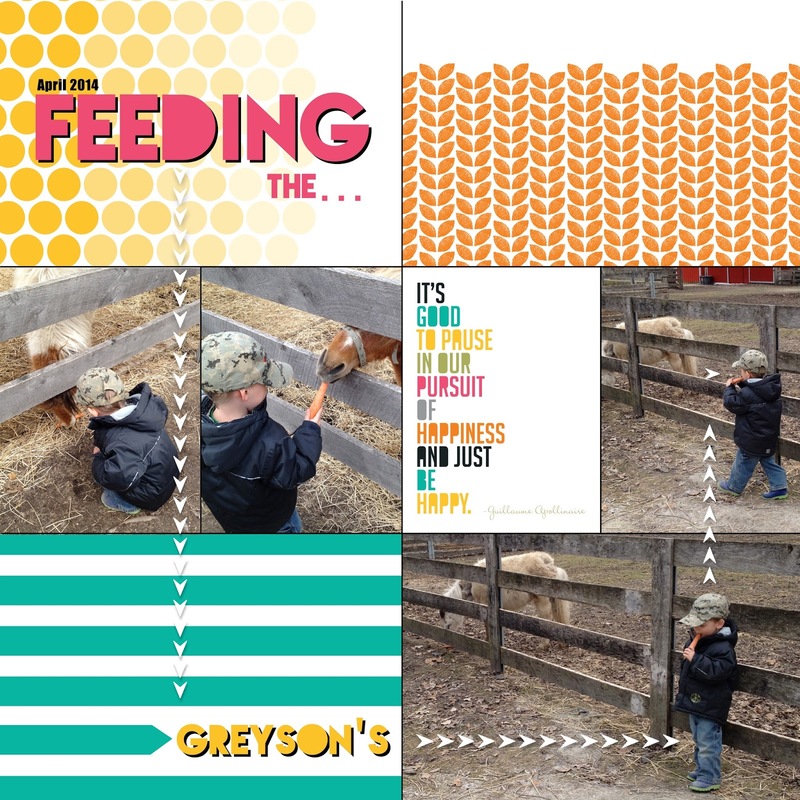 I used the guidelines, I inserted photo boxes, changed them to the correct dimensions, and the freeform line tool. I used the freeform line tool once I had everything designed. I used it to emphasized the different sections. It's a lot easier then trying to alter the size of everything for a mat! Well, thanks for stopping by and have a great day!